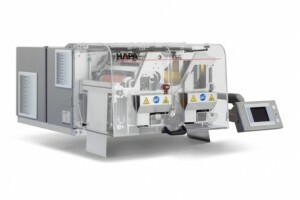 Volketswil, Switzerland: – Innovative printing solutions specialist Hapa AG will use the forthcoming Pack Expo event in Chicago to show how its flexible, in-house printing systems can inject lean production opportunities to boost customers’ on-demand strategies. Hapa systems, designed for the pharma, cosmetics, food and medical pack industries, can print the highest quality text, codes and graphics in up to five colors, on blank or pre-printed materials, meeting all application and security demands while also stepping up production agility, speed, and market responsiveness. 230-Hybrid: This bestselling solution combines UV Flexo and UV DOD technologies into one ultra-dynamic, cost-slashing system that’s easy to integrate and easy to use. It is fitted with Hapa’s large, clear “new generation” multi-touch panel, the most modern, user-friendly web technology. Universal Label Printer: This UV DOD, WCMYK module printer, optimized for white and precision-inset printing for all label and roll-fed materials, incorporates Hapa’s extensive know-how and experience into leading-edge technology. 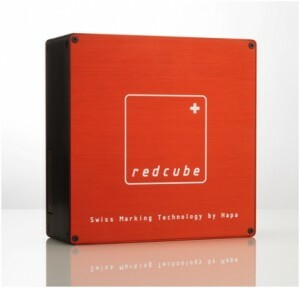 redcube: Hapa’s multi-dimensional and versatile UV DOD print module will be integrated with a RA Jones cartoner to print variable data. A second redcube will direct print visitors’ photo images onto tins of mints as part of an “integration demonstration” by Coesia Group’s Integrated Process Systems Division. Gottscho: Hapa also will host Gottscho’s exhibits of the GO-Flex, UV Flexo technology, and GO-Jet BASIC, thermal inkjet technology. The Hapa team in Chicago will also showcase to the North American market the company’s latest business stream, Hapa Ink..Visitors will have the chance to see various ink products designed and produced by Hapa Ink in use on Hapa printing systems, including its high-density white. Hapa AG is a global leader in Late Stage Customization (LSC) and On Demand Packaging print solutions for the pharmaceutical packaging industry, with growing presence in the medical, FMCG and food industries. Its mission is to empower customers to complement lean production with in-process and just-in-time (JIT) printing solutions. Since introducing its first printing machines in 1933, Hapa has championed innovative Just in Time printing solutions that can easily be integrated into existing packaging processes. The company is a prominent member of Coesia; a privately owned group of 14 innovation-based industrial companies headquartered in Bologna, Italy, and operating globally in advanced automated machinery, industrial process solutions and precision engineering. 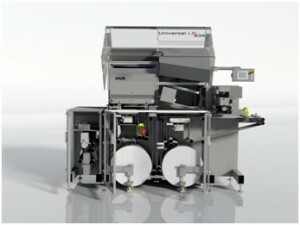 The annual Pack Expo International Exhibition is one of the world’s most important trade fairs for the advanced packing and processing industries, attracting more buyers from the USA than any other sector event, along with 5,000 international visitors representing 130 different countries worldwide. The event is co-located with Pack Expo International and presented jointly with the International Society for Pharmaceutical Engineering (ISPE). PACK EXPO 2014 will be held November 2-5 at the McCormick Center in Chicago and is expected to attract more than 50,000 visitors, with some 1,800 suppliers represented. Click on Hapa bringing ‘lean opportunities’ to Pack Expo Chicago for other information.